For the love of FQBs - 30% off!!! Okay - I have to say that Fat Quarters are my favorite fabric cut right now. 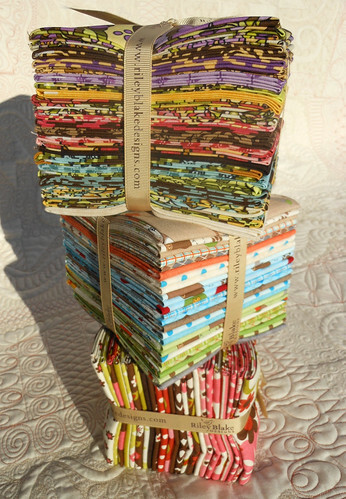 Simply because you get so much fabric that coordinates and you have tons of project possibilities. 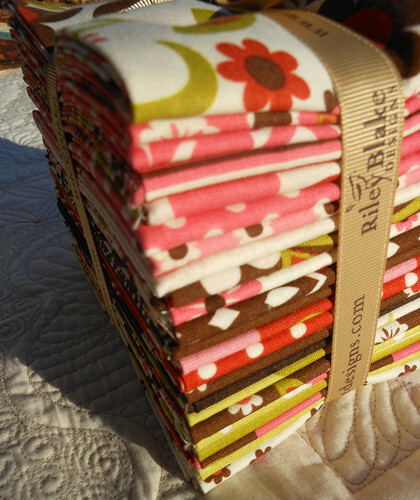 We have all the current fabric collections from Moda, but did you know we also have Riley Blake precuts as well? Well - we do and the fabric is adorable!! 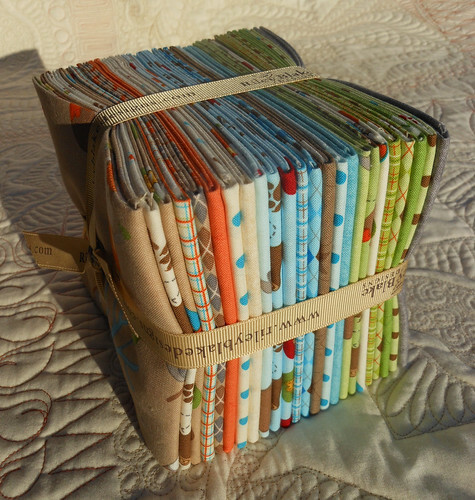 I keep telling Clint that I need one FQ Bundle of every line that comes in and he reminds me that I just wouldn't have room to just store the stash. Well - a girl can always make room for her stash - no matter the lack of space. This cute new line is called "Fox Trails" by Doohickey designs for Riley Blake Designs. It is adorable - I want it, seriously! But, for all you out there we have all of our Fat Quarter Bundles and Fat Eighth Bundles 30% off until Monday. It's a good time to stock up! This new line is called "Fiona's Fancy" by Lila Tueller for Riley Blake Designs. It is so cute! 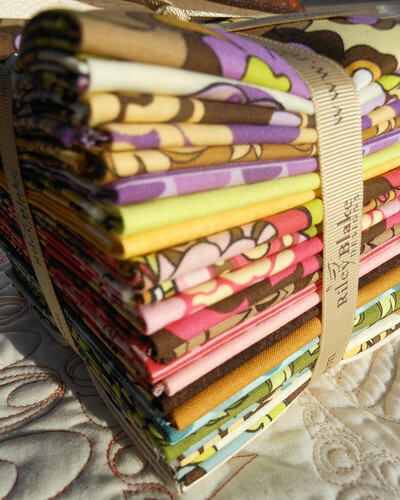 This little bundle is from the fabric line "Indian Summer" by Zoe Pearn Designs for Riley Blake Designs. I absolutely love this line - we still have several bundles left. 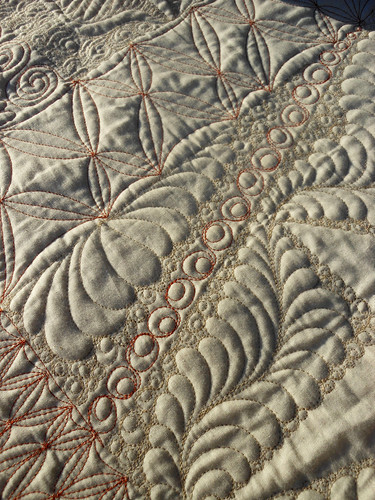 Sometimes I just have to have a quilting picture in my posts. Makes me happy! This morning was absolutely gorgeous here. 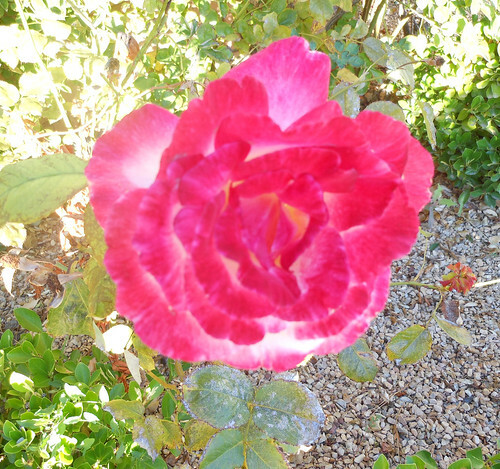 The sun is out - it's cool, but not too cold and the roses are still in bloom. I have to say that I love where I live - even if the summers are a little hot!